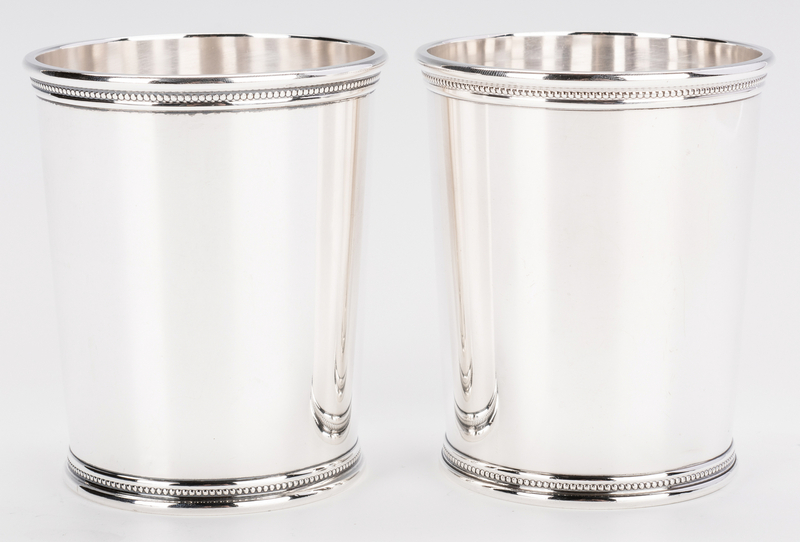 9 sterling julep cups including 6 Mark Scearce "Presidential" silver julep cups and 3 Newport sterling silver julep cups. 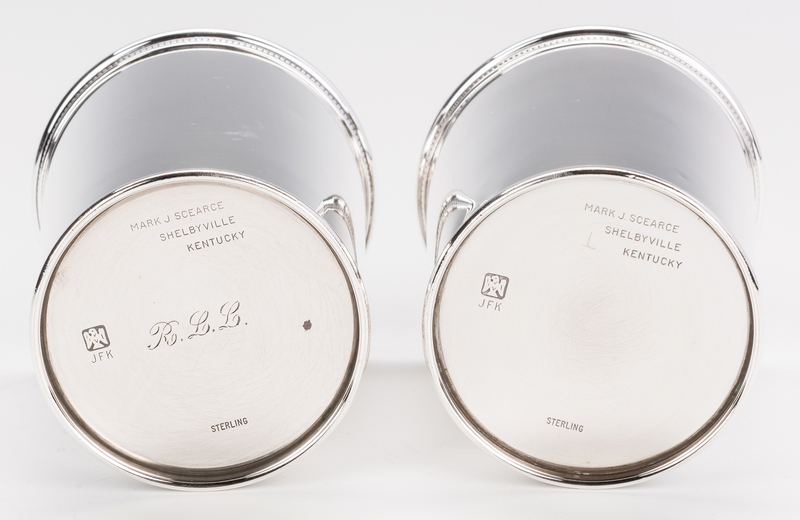 1st group: Two (2) handmade sterling silver Kentucky julep cups with tapered bodies and beaded upper and lower rims, marked on underside MARK J. SCEARCE SHELBYVILLE KENTUCKY / STERLING with eagle symbol and JFK mark commemorating the American president during the period in which it was made (John F. Kennedy, 1961-1963), 3 3/4"H. 9.405 oz troy combined weight. 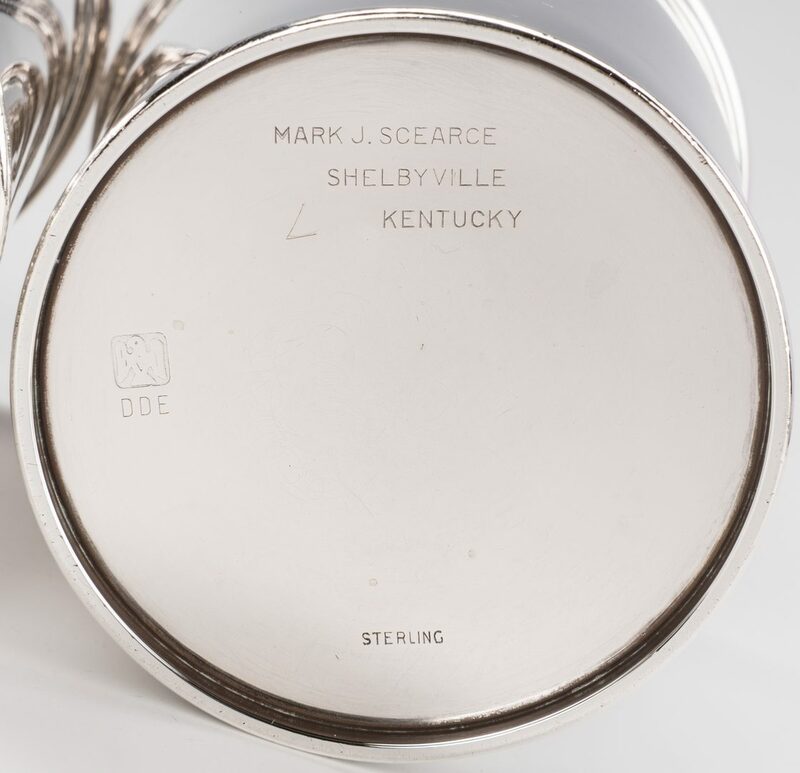 2nd group: Four (4) handmade sterling Kentucky julep cups with tapered bodies and beaded upper and lower rims, marked on underside MARK J. SCEARCE SHELBYVILLE KENTUCKY / STERLING with eagle symbol and DDE mark commemorating the period of Dwight David "Ike" Eisenhower's presidency (1953-1961), three measuring 3 3/4" H, one measuring 3 11/16" H. 19.15 oz troy combined weight. 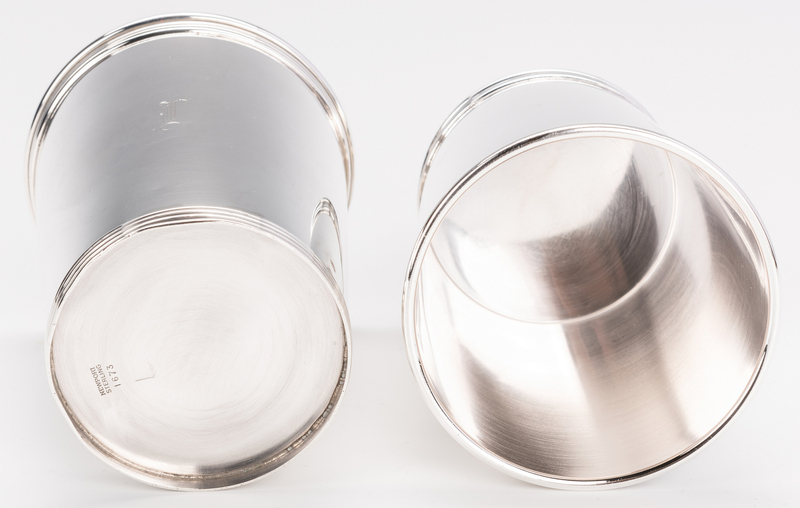 3rd group: Three (3) sterling silver julep cups with tapered bodies and reeded rims and bases, marks on underside for Newport Sterling 1673. 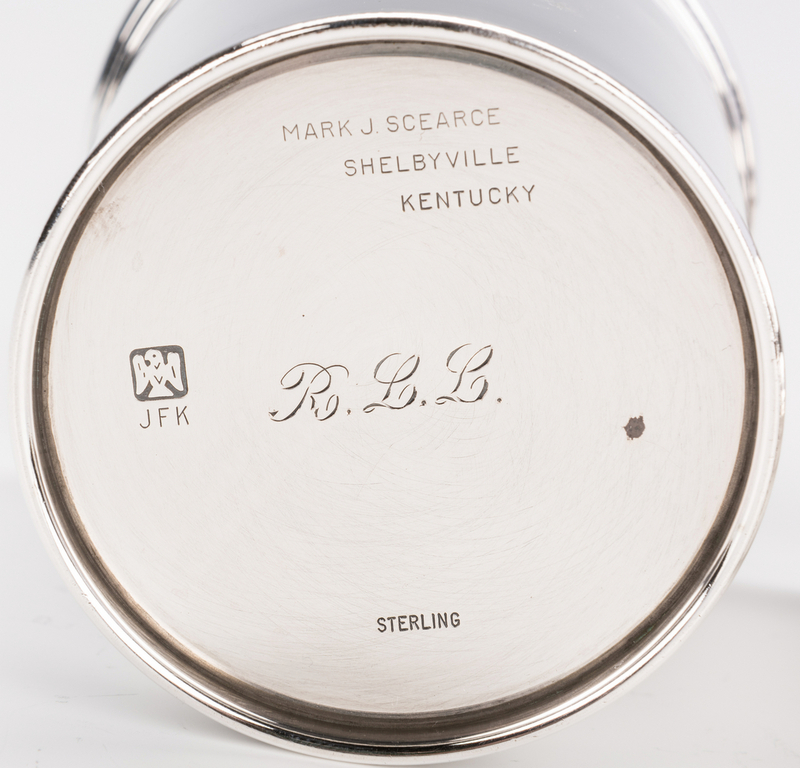 Single monogram L. 3 3/4" H. 11.705 oz. troy combined weight. 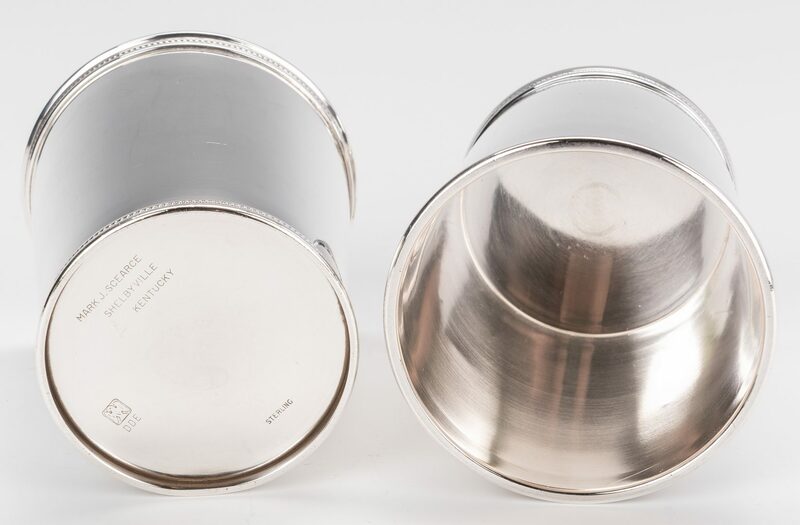 Combined weight 9 sterling cups: 40.26 troy oz. CONDITION: Very good condition with a few scattered minor small dents and scratches. 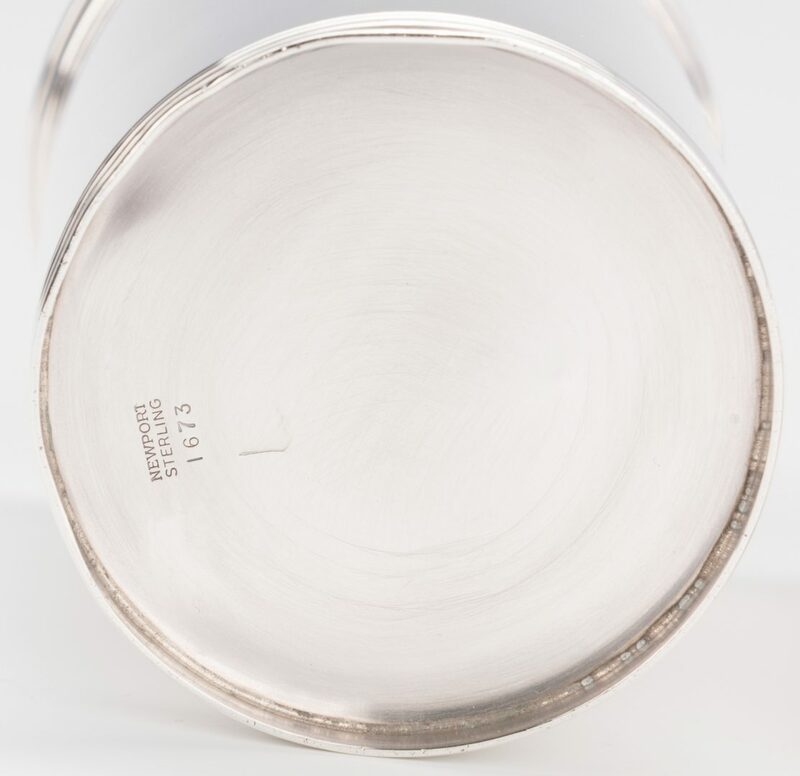 No apparent evidence of removal of monograms on surface of cups. 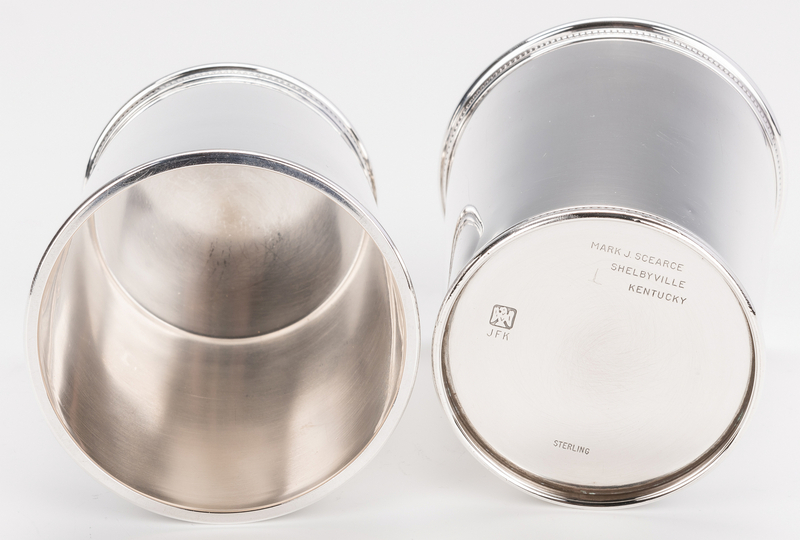 One JFK cup with monogram on base.